AN EXCITING OPPORTUNITY TO GROW YOUR OWN SUCCESSFUL BUSINESS! Unique worlds all about creativity, laughter, learning & freedom of expression! Private classes, workshops & parties for kids of ALL ages & ALL abilities! Plus we travel to public events to run our art & craft activities there too! 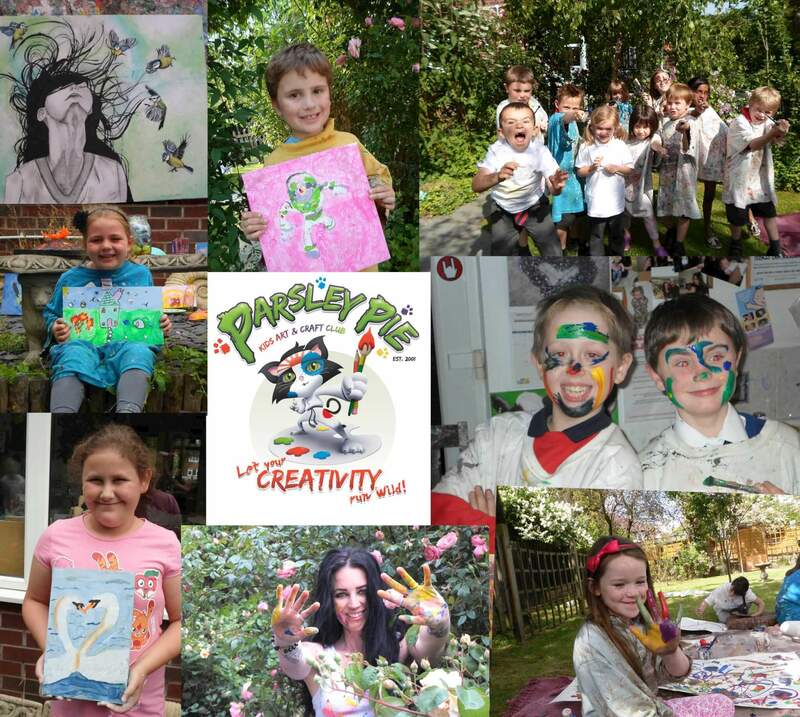 Established in 2001, Parsley Pie is a highly respected, long established and very successful business based on giving children the space to truly let their creativity run wild! At Parsley Pie there is no right or wrong! Children are encouraged to be themselves, use their initiative and imagination! At Parsley Pie there is no right or wrong! 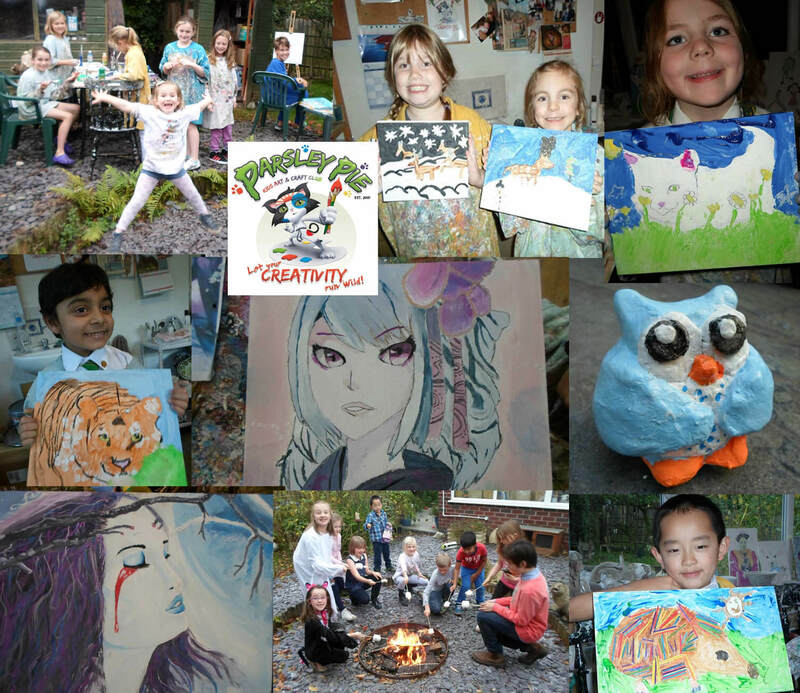 We believe in the power of building self worth and self esteem through art and freedom of expression! 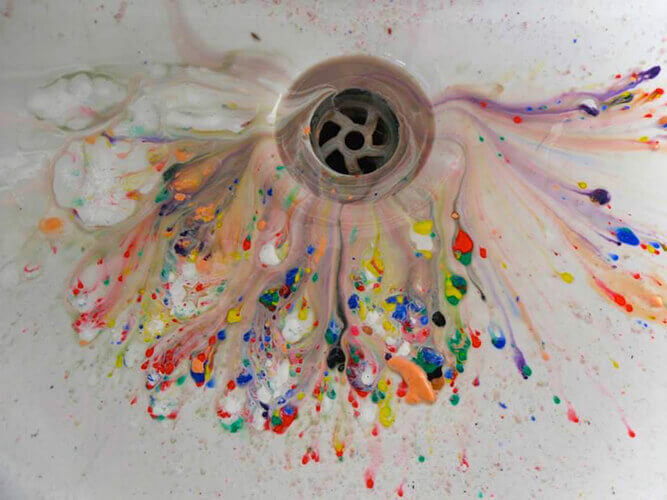 We LOVE mess, paint & gunky stuff! IS THIS BUSINESS OPPORTUNITY FOR YOU? Are you looking for a flexible career that fits around busy/family life? That is rewarding, flexible and fun and puts you in control of your work/life balance? Have you got the will power, time and energy to dedicate to a fully established business package? It is ready to roll! But YOU need to push it! You will need to be able to focus and put in the hours to make things happen and make YOUR business a success and help it grow! We are expanding the fantastic Parsley Pie brand all over the UK and will award the right people the opportunity to open their own Parsley Pie Art Club as a Parsley Pie Licensee using our highly successful brand and business model. A fantastic and flexible opportunity for you to start your own business! Gain freedom! Be your own boss and take control of your life and your time! You CAN have a fulfilling and successful career AND still have plenty of quality time to spend with your family doing the things you want to do! You will be working on a self employed basis and once awarded your Parsley Pie License you will have access to a wealth of original ideas, our expertise & advice, plus you will benefit from the excellent reputation we have held for over 15 years! YOU WILL HAVE THE BEST CHANCE OF SUCCESS AT RUNNING YOUR OWN BUSINESS! We provide you with a complete ‘packaged-up’ tried and tested business model, fully worked out and worked through. We can guide you through every phase of the business – from set-up to developing and expanding your business over the years. We can provide you with ongoing support and training and advise you on how to grow your Parsley Pie Art Club as much as you want to! * Are you creative and passionate about art? * Are you dedicated, committed and business minded? * Do you like people? Especially children? We are looking for positive, motivated, self disciplined people who are ready and able to invest the necessary time and money into starting their own business. We need people would be totally committed to providing the quality services of the Parsley Pie business model and who would maintain the excellent reputation that we have held for over 15 years! Make sure you fully understand what is involved in running your own business. A WORD FROM JENNY FOUNDER OF PARSLEY PIE! “I am a successful career woman and mum to my wild and gorgeous little boy! I have the perfect work/life balance and I could not be happier! I work part time hours and earn a full time wage! I have time for me, time for my son, my partner & my business, it’s truly is great job to do, I absolutely love how I earn my living! I am very proud of my business and how I have built it up. I came from nothing & started from scratch! I have no degree, no formal business training and when I started, the only experience I had of dealing with kids was the odd bit of babysitting! Plus i had NO operations manual, NO art club expert at the end of the phone, NO ready made brand, logo or website and NO bespoke marketing material to promote my business, I had to do all that myself and I have built a very strong and successful business. 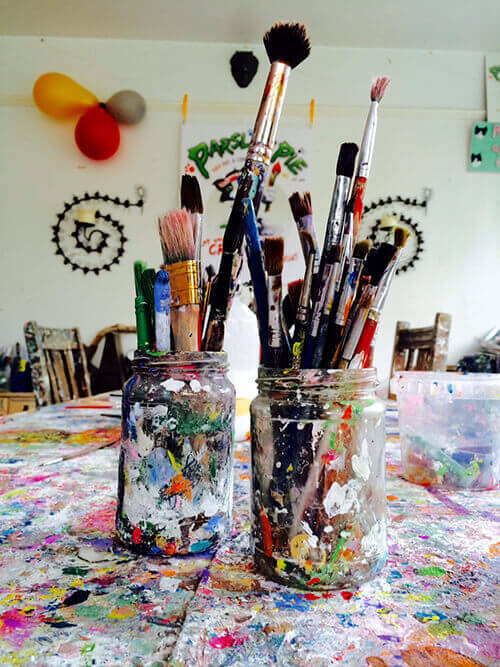 Here at Parsley Pie Art Club HQ I average around 60 CHILDREN ATTENDING EVERY WEEK during term time! Plus I run busy holiday workshops & host around 15 – 20 children’s parties per year! I firmly believe that all you need to have to gain success and to achieve great things is will power, the right advice, ambition, clear focus, motivation, passion and of course be 100% dedicated and super organized! We are not looking for volunteers or people to work for us as teachers in our existing classes. We ARE looking for dedicated & motivated people who are genuinely interested in setting up their own business & with our help, support & training running their own successful businesses on a self employed basis as Parsley Pie Licensees. Nothing within the contents of this page constitutes an offer, representation or warranty to sell you a License or the business opportunity or to enter into any further agreement in relation to a business opportunity. The contents of this page are to the best of our knowledge and belief accurate when written but we make no representation or warranty as to any of the contents of this document. Any agreement for the sale of a License or the business opportunity to you, shall be subject your signature on our standard Parsley Pie License agreement. Any figures or financial information within the contents of this page are for the purpose of illustration only and are not intended as a guarantee. The Parsley Pie License Business opportunity is only available to persons residing in the UK and will only comprise of territories located within the UK. We advise you to take independent professional advice in relation to the License business opportunity. We shall not be liable in any circumstances for your reliance on any of the contents of this document.